To increase the number of young children visiting the mosque. To guide students towards self-directed learning, with supervision in English and Math especially. To familiarize students with religious obligations. Duly complete the application form. 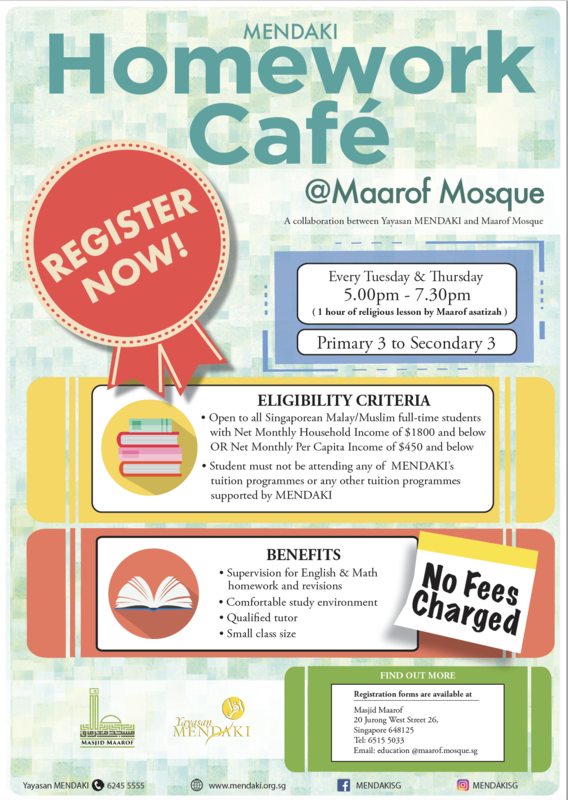 Submit the above items to the Education counter at level 3 of Masjid Maarof. For those eligible for subsidy: $20 registration fee ONLY. 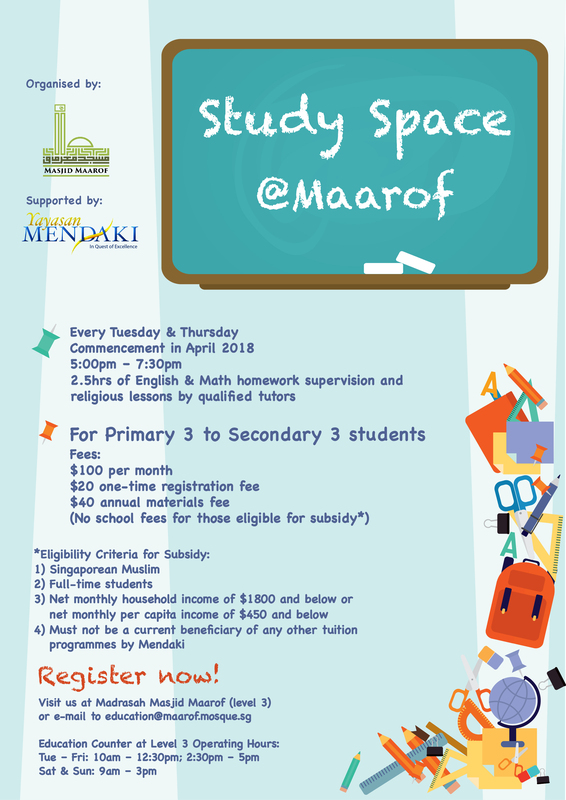 All other fees are borne jointly by MENDAKI and Masjid Maarof (Sponsor-A-Child grant). The Student must be a full-time student with a government school, government-aided school, autonomous school, independent school and madrasahs. BC or NRIC of all the family members living in the same address. CPF Contribution History and complete the Declaration of Income Status – Refer to Section 4 of the application form. The self-employed person must submit the latest Income Tax Notice of Assessment.